This year's session of the SC General Assembly has finally ends, as lawmakers pass a wide-ranging plan to address the V.C. Summer nuclear debacle. 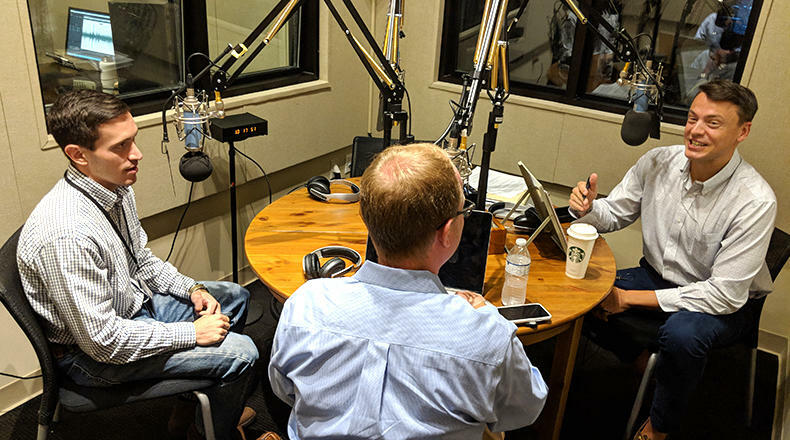 As South Carolina Lede heads into summer hiatus, host Gavin Jackson is joined by Post and Courier reporters Jamie Lovegrove and Andy Brown to discuss the results of the Republican gubernatorial primary runoff as well as legislation passed by state lawmakers this week dealing with the failed V.C. Summer nuclear project. 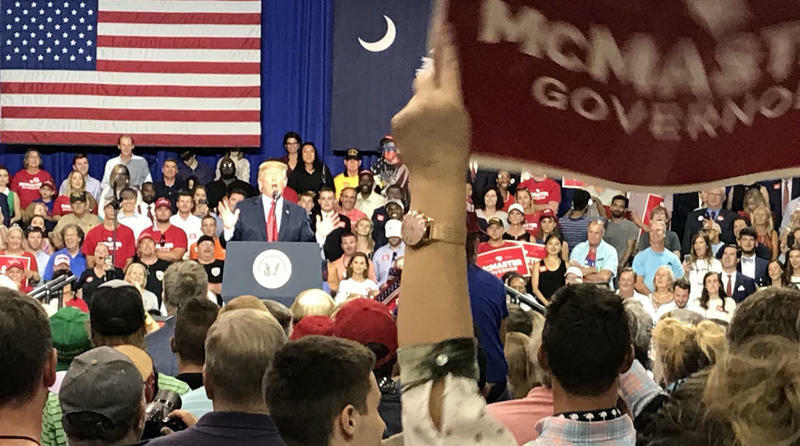 President Trump rallied with Gov. Henry McMaster at Airport High School in West Columbia. The 71-year old McMaster is competing with 39-year old Greenville businessman John Warren for the Republican nomination. Recent polls show the two candidates in a tight race. Monday night storms delayed Airforce One from landing briefly. The President made his appearance just before 8PM; he referred to McMaster as a friend and joked that storms got so bad, pilots suggested turning around. "C" is for Clyburn, James E. (b. 1940). Congressman. A native of Sumter, Clyburn graduated from South Carolina State College. He has had an extensive public career. From 1971 to 1974, he served on Governor John West’s staff. In 1974, Governor West appointed him as South Carolina human affairs commissioner—a position he held for eighteen years under both Democratic and Republican governors. In 1992 Clyburn was elected to Congress from the newly reconfigured “majority minority” Sixth District. In 1998 he was elected chair of the Congressional Black Caucus. 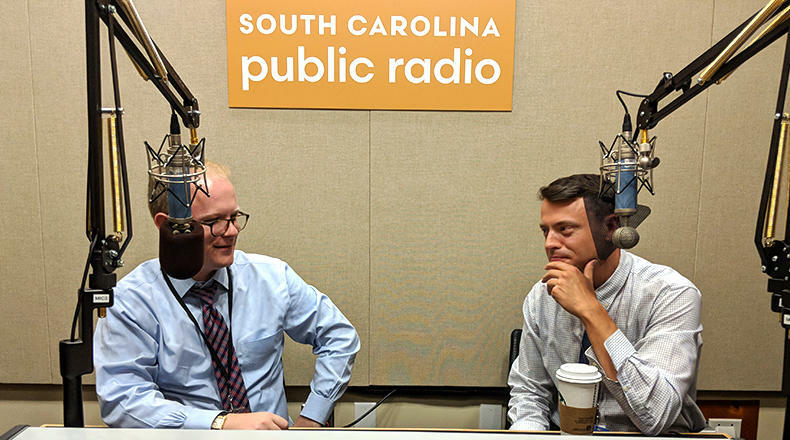 On this edition of South Carolina Lede, host Gavin Jackson is joined by Jamie Lovegrove, statehouse reporter for The Post and Courier, and Meg Kinnard, South Carolina reporter for The Associated Press, to break down this week's primary runoff debate between Republican gubernatorial candidates Gov. Henry McMaster and John Warren. 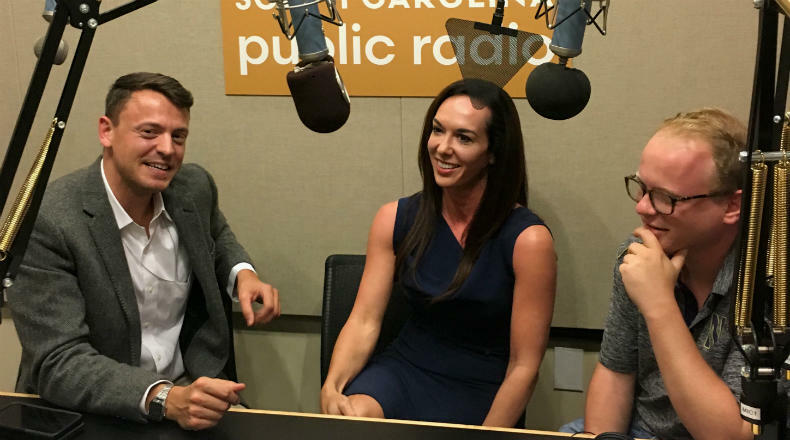 On this week's edition of South Carolina Lede, host Gavin Jackson is joined by Meg Kinnard, South Carolina reporter for The Associated Press, and Jamie Lovegrove, statehouse reporter for The Post and Courier, to recap the results of the South Carolina Republican and Democratic primary elections. 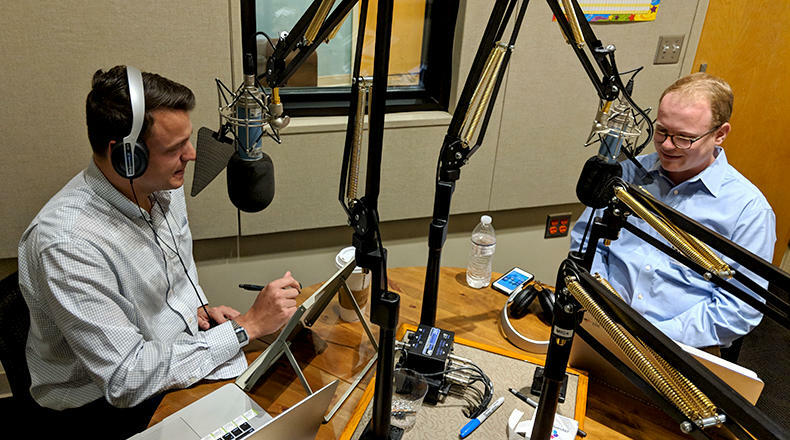 On this edition of South Carolina Lede, host Gavin Jackson speaks with The Post and Courier's Columbia Bureau Chief Andy Shain and Assistant Columbia Bureau Chief Seanna Adcox about the final round of Republican and Democratic gubernatorial primary debates. 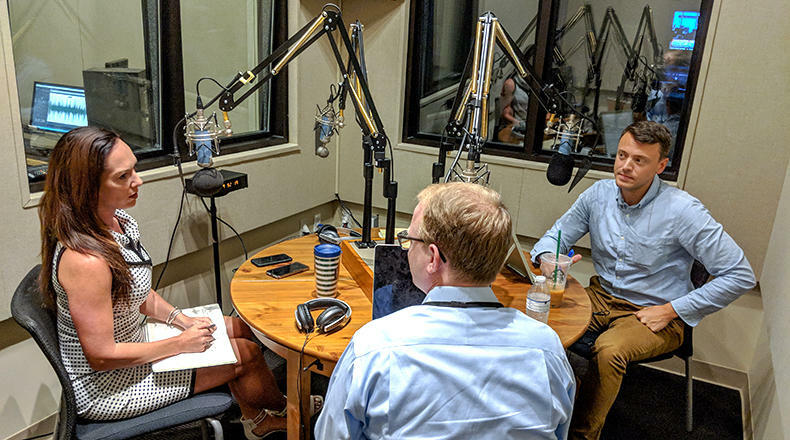 On this edition of South Carolina Lede, host Gavin Jackson is joined by Meg Kinnard, South Carolina reporter for The Associated Press, and Jamie Lovegrove, statehouse reporter for The Post and Courier, to discuss the first round of primary debates for Republican and Democratic candidates vying for the governor's seat. 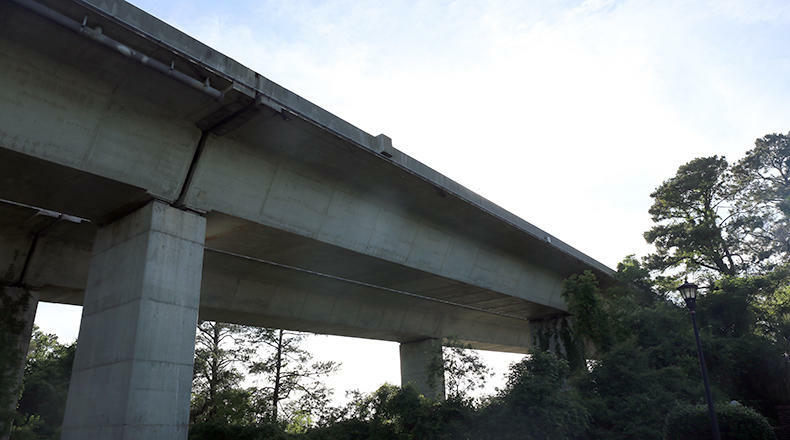 It's been a week since the westbound lanes of the Wando River Bridge in Charleston were closed due to one of the eight cables holding the concrete segments together snapped, slowing traffic throughout the Lowcountry. 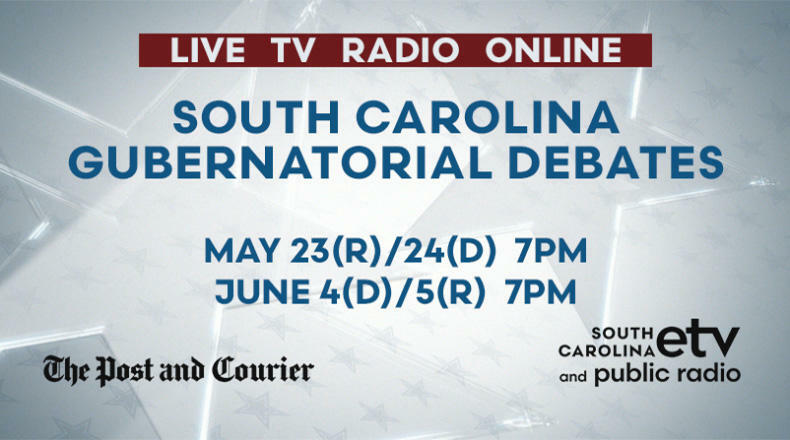 SCETV and The Post and Courier newspaper of Charleston present the 2018 gubernatorial debates, broadcast live from The Brooks Fine Arts Center at Clemson University. 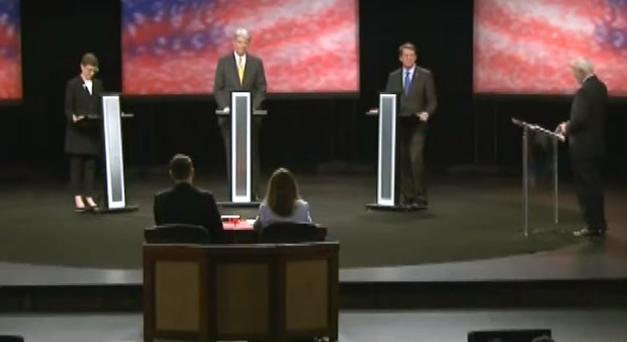 Republican candidates will debate Wednesday night at 7:00; Democratic candidates will debate Thursday night at 7:00. All candidates will field questions from a panel of journalists as they debate issues facing the Palmetto State. 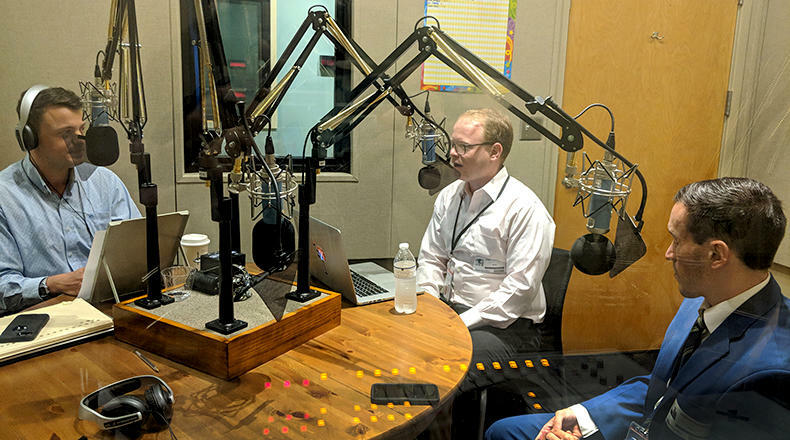 The one hour debates will be broadcast on South Carolina Public Radio and streamed at southcarolinapublicradio dot org. 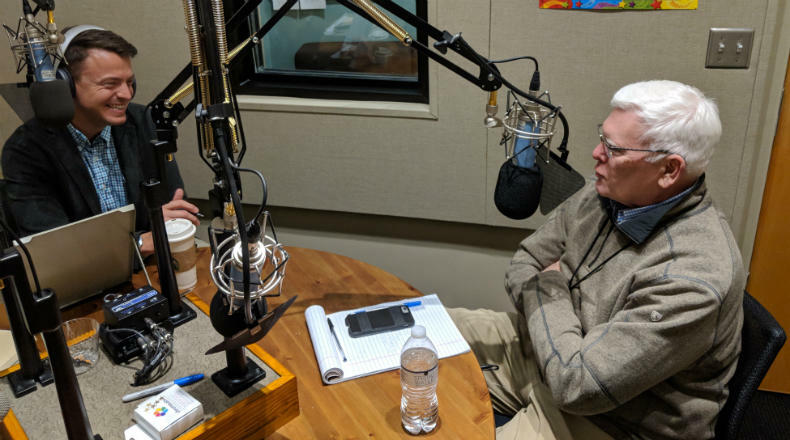 Lawmakers head toward a perfunctory session with work stalling on next year's state budget and V.C. Summer Nuclear bills. 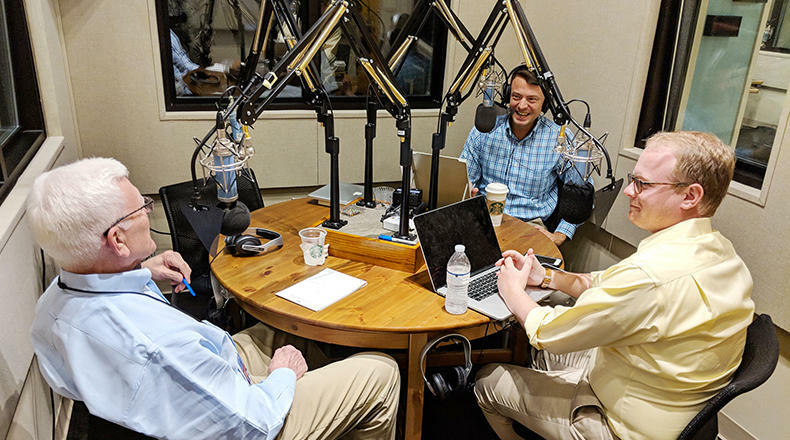 On this edition of South Carolina Lede, host Gavin Jackson is joined by Post and Courier Statehouse Reporters Andy Brown and Jamie Lovegrove to look back on the 2018 South Carolina legislative session. 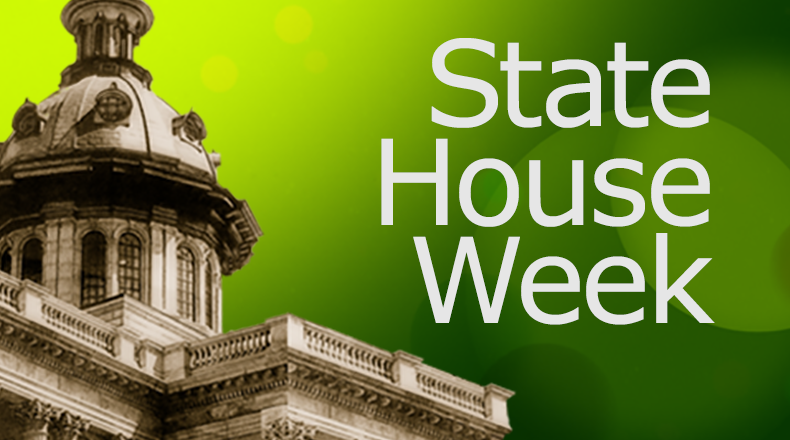 While lawmakers managed to pass several high profile bills to the governor's desk this session, they will reconvene later this month and in June to continue debate over the $8.2 billion state budget and bills dealing with the failed V.C. Summer nuclear project. This year's session of the General Assembly has adjourned, but lawmakers will return to Columbia for unfinished business. This week is the final week of the 2018 South Carolina legislative session. 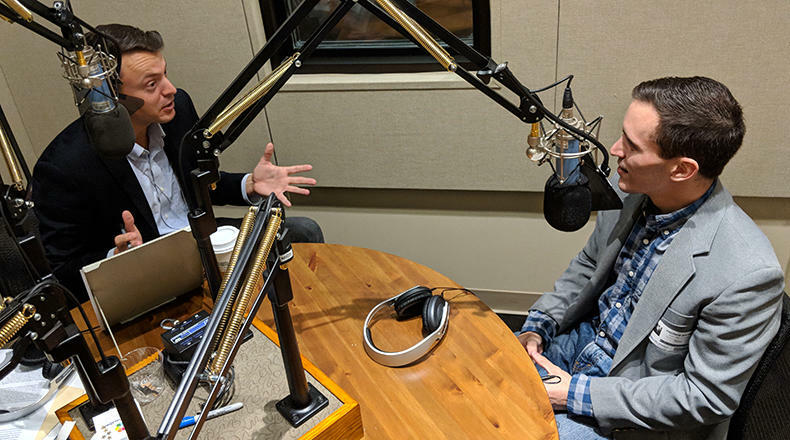 On this edition of South Carolina Lede, host Gavin Jackson is joined by Post and Courier Statehouse Reporter Jamie Lovegrove and South Carolina Public Radio Reporter Russ McKinney to break down what the last three days of the session may hold, including the dozens of bills state lawmakers still have on their calendars. The SC General Assembly heads towards its' final week of the 2018 session. Key bills have yet to pass, but Democrats in the State Senate managed to kill a sweeping anti-abortion bill. 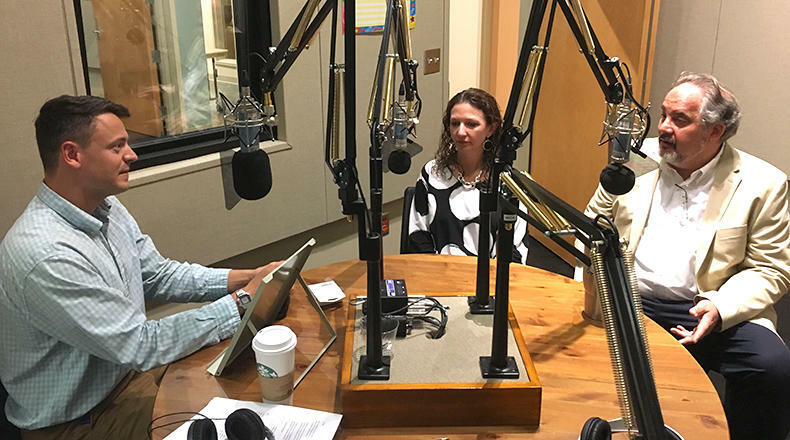 There are six working days left in the 2018 South Carolina state legislative session, and the stage has been set to make these final two weeks a bit chaotic, with debates over budget spending, SCE&G rate reductions, and more. 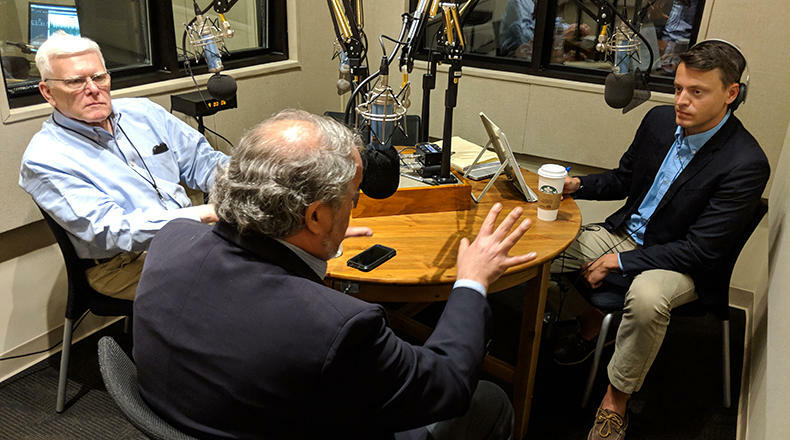 On this edition of South Carolina Lede, host Gavin Jackson looks at the biggest stories coming out of the statehouse with Andy Shain, Columbia bureau chief for The Post and Courier, and South Carolina Public Radio Reporter Russ McKinney. The State House and Senate remain at odds over reducing SCE&G's nuclear charge, and the state will soon have a new Child Advocate. 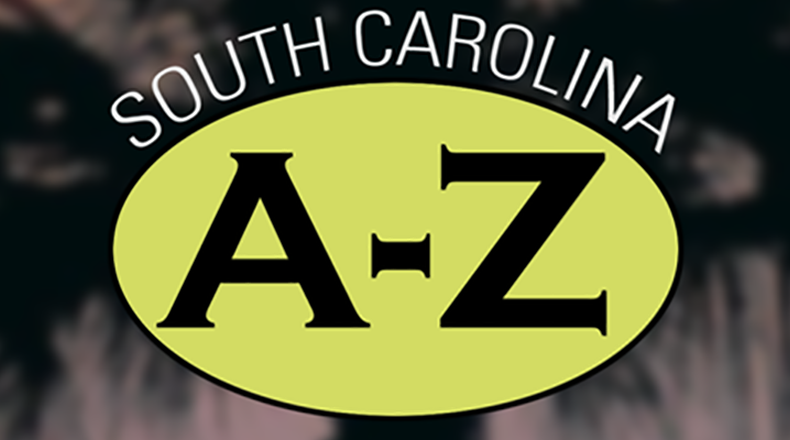 Last week saw two South Carolina news stories make local and national headlines. First, a riot at the Lee Correction Institution maximum-security prison in central South Carolina left seven inmates dead and several others injured. The alleged gang fight was over territory and contraband, and was the deadliest prison riot in 25 years. The S.C. General Assembly has moved to cut SCE&G's nuclear rate, and prison violence sparks calls for action. We're less than two months away from the June 12 South Carolina primary. 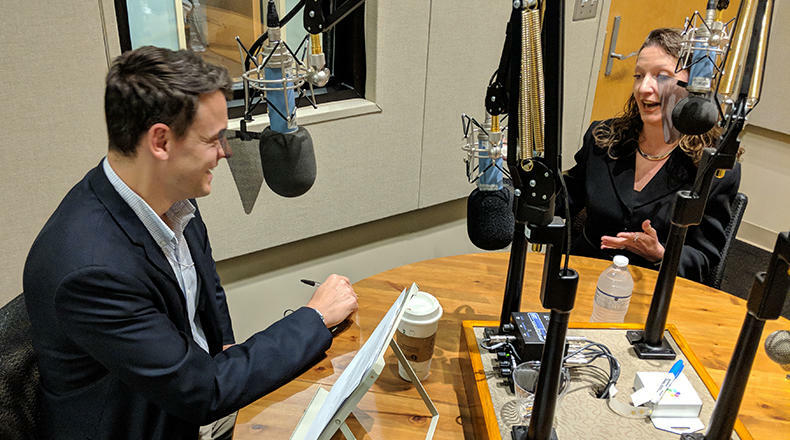 On this edition of South Carolina Lede, host Gavin Jackson speaks with Post and Courier Statehouse Reporter Jamie Lovegrove about the latest on the race for the governor's office. The SC Senate approves next year's $8 Billion state budget, and a major setback for proponents of solar energy in the state. 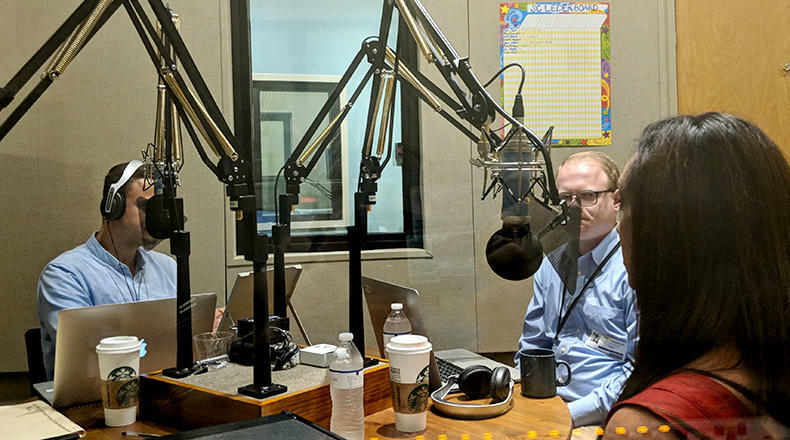 On this edition of South Carolina Lede, host Gavin Jackson is joined by Post and Courier Statehouse Reporter Andy Brown to discuss the latest issues surrounding the V.C. Summer nuclear project. 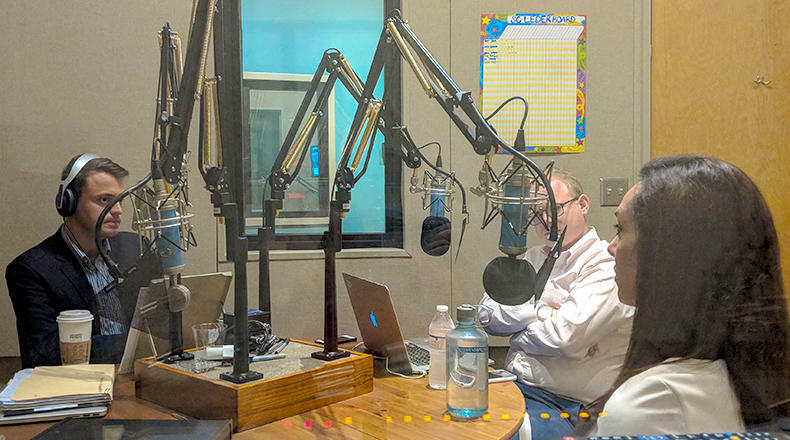 We'll talk about new revelations of what South Carolina Electric & Gas and Santee Cooper executives knew about the fate of the failed project, and examine recent actions taken by the Legislature concerning its future. Action on the future of Santee Cooper, and the future solar energy industry were debated by the SC House of Representatives this week.